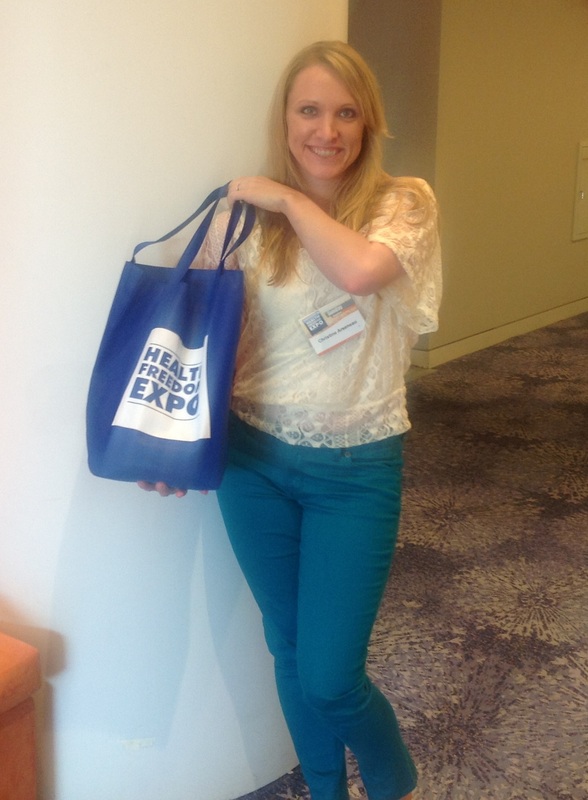 I just got back from the Health Freedom Expo in Chicago and I am pumped! The energy there was amazing and it was inspirational to be surrounded by so many like-minded people. 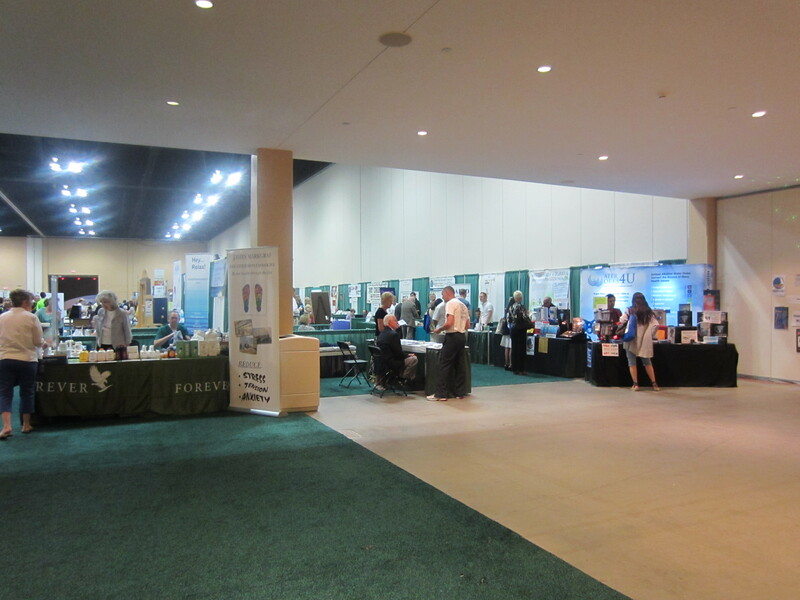 The expo had a nutrition and natural health theme as well as covering the politics of our healthcare world. The main agenda for this expo is to make the public aware of the choices they have with their health and to ensure that their freedom to choose care (especially in regards to holistic practitioners) is protected. 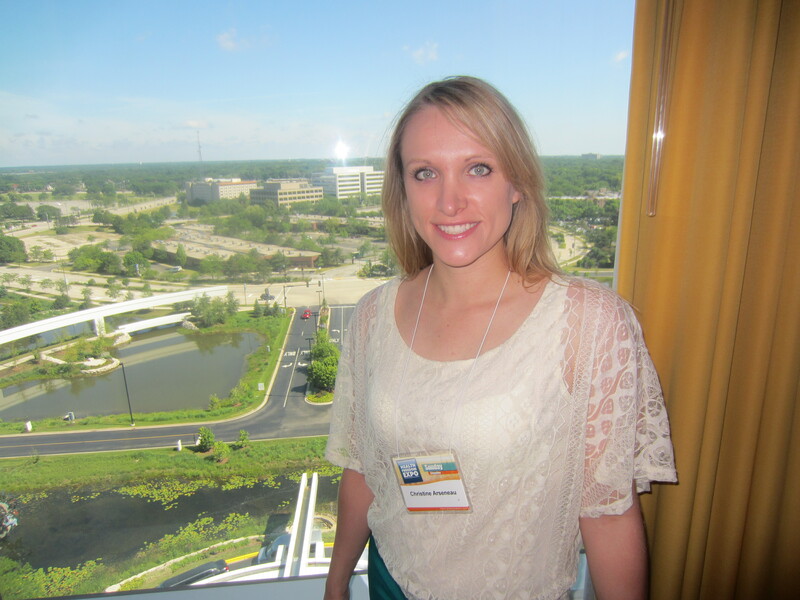 I could talk for days about the topics that were covered by various speakers! But today, I will focus on one topic – the cancer industry. We watched a documentary entitled “Cut Poison Burn” and I urge everyone to watch it!! This is an extremely moving film that will really open your eyes to the money making cancer business in our country. Chemotherapy has not increased the life expectancy of most cancers. This means you will live for the same amount of time whether you go through chemo or not. (This isn’t true for all cancers, some are more treatable than others). Why would you want to go through chemotherapy and still die at the same time as someone who didn’t? These are NASTY medications with many side effects. Once you start on the road down chemotherapy, you lose your quality of life. Remember this medication is meant to poison cancer cells, and in turn poisons all the cells of your body since it is not selective. It leaves you feeling sick, tired, and susceptible to infection. Many chemo patients are constantly in and out of the hospital battling infections and complications from chemo. Many chemo patients die from infections due to suppressed immune systems instead of the actual cancer. And to top it all off, chemotherapeutic agents are carcinogenic – meaning they cause cancer! So even if you are lucky and your chemo takes care of your cancer – you are much more likely to get a secondary cancer down the road as a side effect of chemo. Removing cancerous lumps and tumors does not solve the underlying problem. Cancer gets carried through the blood and can spread to other sites even after removal from certain areas. Radiation has many adverse effects as well, including cancer. Radiation of the head leads to decreased IQ, hearing loss, and blindness – to the point where even if you end up eradicating the cancer, you may be in a vegetative state. In the states, seldom do physicians address nutrition with cancer patients. Sugar FEEDS cancer; yet, at my cancer center in town, volunteers pass out cookies and crackers to patients. Now, I don’t want to be the one that tells the cute little old lady volunteer that her actions are actually doing patients harm – it’s not her fault. Why can’t the cancer center have an organic vegetable juice bar instead? Why doesn’t the American Cancer Society educate on that? 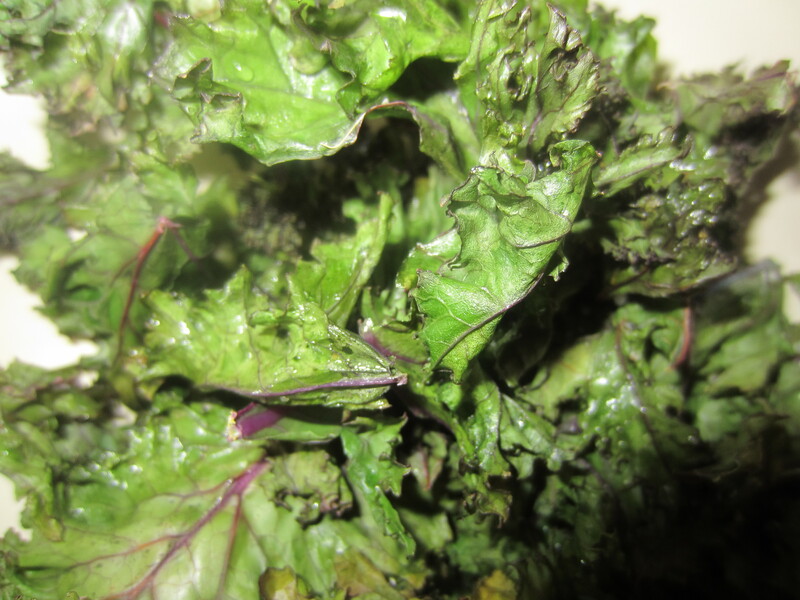 Or on the preventative powers of selenium? 1 in 2 adults in this country will get cancer in their lifetime! That is not normal! Could it be pesticides, GMOs, toxins and chemicals in our environment? There is no focus on prevention which is in turn preventing patients from getting much needed education to maintain their health. The American Cancer Society is the richest “non-profit” company there is. Chemotherapy medications are a big business and the American Cancer Society does not have your best interests in mind. If potential cancer cures don’t make lots of money, they are not pursued. Treatments not backed by huge drug companies are suppressed. US citizens have to travel to other countries to try experimental cancer treatments. This is supposed to be a country where we have the freedom to choose, yet citizens have to sometimes go to third world countries to pursue treatment options – how backwards is that?! Donna Navarro was featured in the film. She is the mother of a 4 year old boy battling cancer and the FDA. Dr. Burzynski of the Burzynski clinic in Texas is in stage 3 trials (which by the way cost $25 million to get through) for a promising cancer treatment – yet Thomas Navarro is not allowed to attend the clinic. He is essentially dying as he waits for his parents to fight in court for his right to treatment. Let me tell you, there was not a dry eye in the house – this is one emotional and moving documentary. Donna Navarro was there in person with us at the expo and facilitated a question and answer after watching her documentary. She needs support from the public for the Thomas Navarro FDA Patient Rights Act she is trying to get passed. You can really help by watching her documentary. Go to http://cutpoisonburn.com and download the film or order a DVD. They ask for a donation when you download but if you can’t afford it you don’t have to pay. Although Donna is in financial stress from her son’s treatments, she cares more about getting the word out than about receiving payment. Hold viewings with a group you belong to – whatever you can do to get the message out. Downloading through the website, whether you pay or not, will be extremely helpful for the Navarro family so they can track how many people they have affected. If you do hold a screening with a big group of people, contact the makers through the website and they will be willing to Skype in and hold a question and answer session! She is passionate about her work trying to get laws changed for patients and will help however she can to get her story out. What can you do to help? Tell your friends! Get the name of the documentary and website out there, like “Cut Poison Burn” on Facebook, follow them on twitter. Donate money for the download if you can. Even consider hosting a screening – contact info@nehst.com for more information on hosting screenings or buying wholesale DVDs in bulk. Enjoy the trailer below and thanks for your support! This entry was posted in Health and tagged American Cancer Society, Burzynski, cancer, chemo, Cut Posion Burn, health freedom expo, Navarro by Tina's Pharm. Bookmark the permalink. Loved your blog but just a few corrections..
1. Please do not burn copies of the film! The film has a copyright and that would be copyright infringement so please don’t copy the film. It also keeps us from making other films that has just as much impact. 2. We are not millions of dollars in debt. However, we are still trying to dig out of the hole and we are financial stressed. 3. Right now as I blog Jonathan Emord Esq., who was on the panelw/ me, is writing a BIll for Cong. Ron Paul to sign and introduce. What i need your readers to do is call their reps and tell them to support medical freedom and of course even if you are not a constituent of Cong. Ron Paul tell him anyway to support medical freedom. 1voice = 1000votes! Thanks for reading Donna! So sorry about the inaccuracies in my blog – I have updated it! There was so much passion in the room after the viewing and the message was to get the word out no matter what, so I may have gotten a little too excited! It was also mentioned during the panel discussion that you were seven figures in debt, but maybe I misunderstood what was said. Thank you for your comment, can’t wait to check out your blog!